After much delay, the Piaggio Group is finally ready to begin production of the Vespa Elettrica. 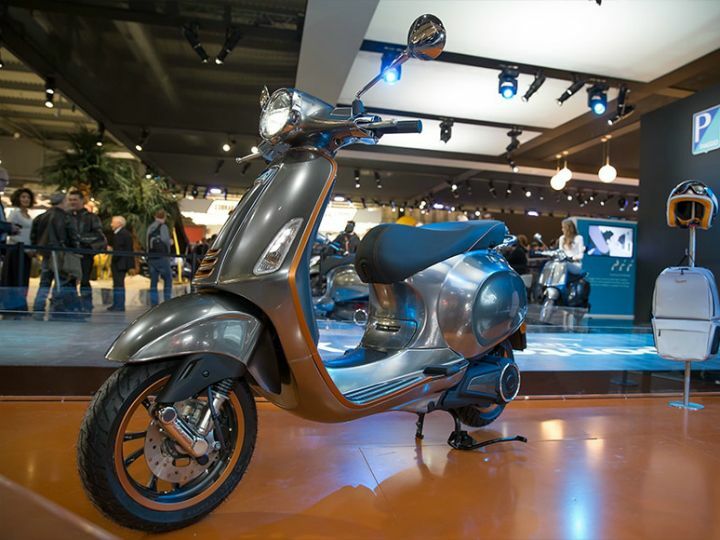 The scooter was first displayed at the 2016 EICMA Show and made its Indian debut at this year’s Auto Expo. Earlier, Vespa had planned to roll the scooter into production by late 2017 at the company’s plant in Pontedera. However, Vespa engineers wanted to incorporate some additional changes to the electric scooter, hence the plan was delayed for later this month. Now, Piaggio states that the scooter is expected to hit showrooms as early as next month. That said, it’ll be limited to Europe at first, before expanding to the USA and then to India in early 2019.While nothing has been mentioned about the pricing, Piaggio states that the Electrrica will be placed in the same range as its other high-end models in the Vespa lineup. So expect a pricing of around Rs 85,000 – Rs 90,000 or even more. 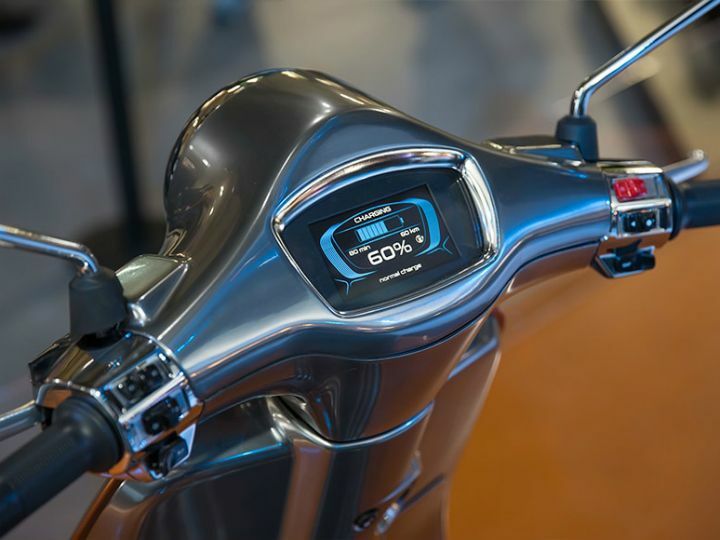 The Vespa Elettrica is powered by an electric motor which produces 4.0kW (5.4PS) of power, with 2.0kW (2.7PS) of continuous power on tap. As is it with electric scooters, the Elettrica might be offered with two riding modes: ‘Eco’ and ‘Power’. Vespa also claims that the scooter has a range of 100km and can be fully charged in 4 hours. The concept showcased at the Auto Expo 2018 had a touchscreen TFT display, which we expect to see on the production model as well. The Vespa Elettrica will be placed against the Okinawa Praiseand the Ather 450 (at least in Bengaluru for now). However, both of them are priced considerably lower than the expected asking price of the Elettrica.